Oracle Application Express is mainly used to develop Web based applications with SQL and PL/SQL. The Web-based applications can be developed using a web browser which can easily be deployed for any desktop or mobile applications. There are various version that are been released by Oracle. In recent release on May 2015 they released APEX version 5. Oracle recommends that Oracle APEX to be used on latest web browsers available to have a good experience. We can also use the earlier versions of the web browsers by using the legacy themes. 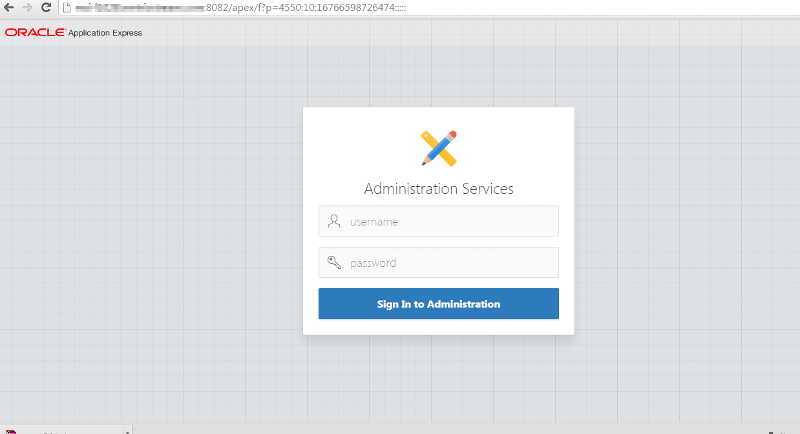 To access full documentation on Oracle APEX, you can open the link from by clicking on the link here. In this article we will see how we can upgrade the existing APEX version to Oracle Application Express Release 5.0.1 version. 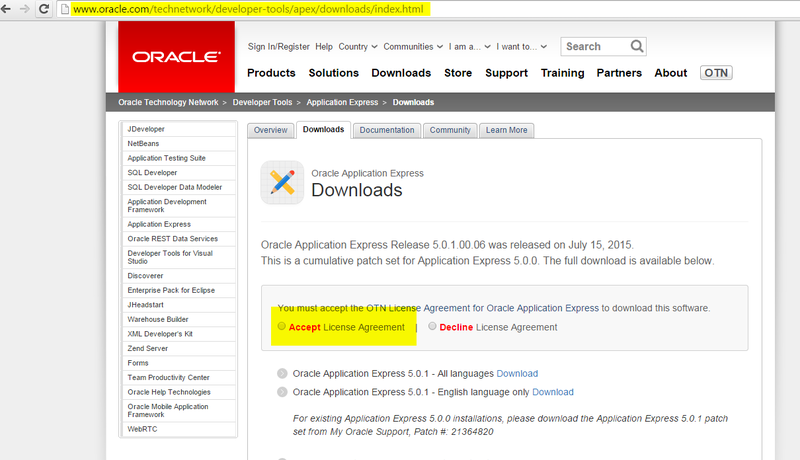 You can also see my other articles on upgrading APEX version from version 3 to 4 on 11g. 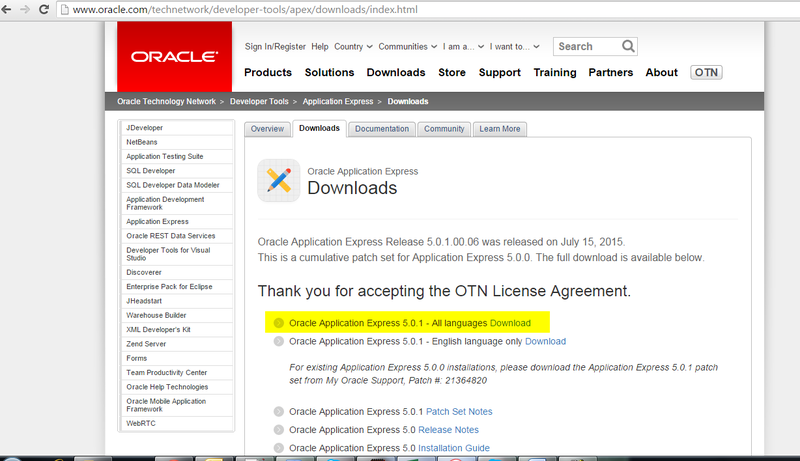 Accept the License Agreement and download “Oracle Application Express 5.0.1 – All languages”. Once you click on download it will take you to login page of oracle, if you have already registered with Oracle then you can use the same username and password else you can just register and sign in with your account. Select the option for All language. Once the file is downloaded you can keep it in specific directory. I am extracted the download file to“E:\app\sloba\product\11.2.0” location as shown in below image. After the downloaded file is extracted open command prompt , I am using this upgrade process on my desktop which is running on Windows OS , the similar process can be done for UNIX using terminal. Go the path where the file is extracted. Now open SQL plus from the same path and login as sysdba . I will be using the same APEX table space to start my installation. Changed password of instance administrator ADMIN. From the above we can see that the version is upgraded to APEX version 5.0.2.00.06 which is the latest release by Oracle. So now we have to run “apex_epg_config.sql” to confugure Embedded PL/SQL Gatewayby specifying the path where we have extracted the downloaded APEX files .But we have to execute it after logging as SYS user as the above script execution has exit from SQL plus. Login with the admin user and password . So now from the above process we know how we can upgrade APEX version 5 from earlier release by Oracle. Now we all are set to start building new application using Oracle Application Express Release 5.0.1. Thank you for reading my blog , the reference is taken from one of my article that was published by Experts-Exchange. Please feel free to leave me some feedback or to suggest any future topics. 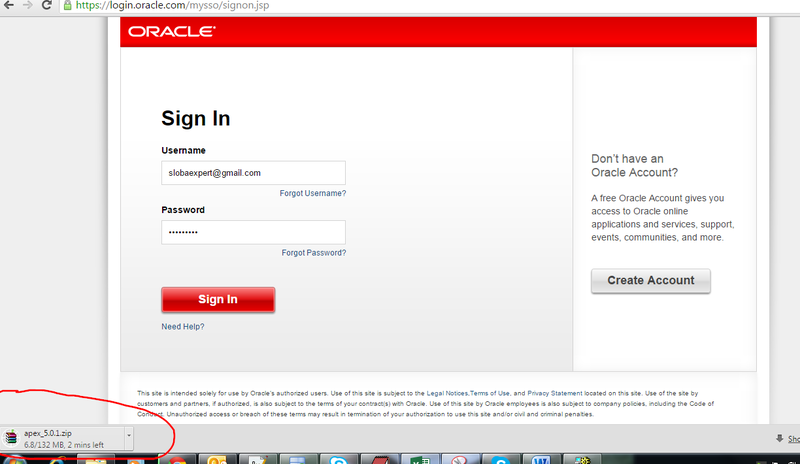 This entry was posted in Oracle and tagged upgrade oracle APEX to 5.0.1, Upgrading Oracle-APEX 4-to 5 version. Bookmark the permalink. Really nice and easy to use guide. Hello, thanks for this very useful guide but I have a question, is that possible to upgrade an application from APEX 3.2 to APEX 5 ? Yes you can but following few process defined by Oracle to determine if applicable.